In A Nutshell: This piece from Hindustan Times describes a situation of severe degradation of the water infrastructure of a city in India. Leaks do more than waste water. 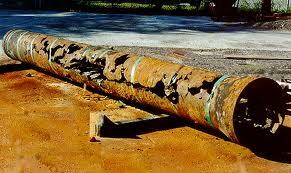 When water pipes are pierced, water quality is compromised. In the US, the EPA is warning that massive infrastructure upgrades will be necessary in the very near future. As water pipes age and and leaks become more frequent, the need for point of use, or “final barrier” water treatment for microbial contamination becomes more urgent. Here is why contamination continues to plague the city: the Brihanmumbai Municipal Corporation (BMC) detected 2,810 leakages across the city’s drinking water pipelines in June. The leakages allow water from the sewage lines to seep in to the drinking water pipelines. This alarming number of leakage points in a ward has a direct co-relation with the presence of E coli bacteria or percentage of unfit water samples collected from the area. Presence of the bacteria can lead to water-borne diseases such as diarrhoea, dehydration, nausea and vomiting. Maximum leakages were detected from in Kurla (L ward), where the BMC found 62% of the water samples collected in June to be unfit for consumption. Five samples also tested positive for E coli. This pipe not only wastes water. It introduces dirt and microbial contamination into the water supply. Water lines in other areas such as Malad, Marve, Andheri, Vile Parle, Jogeshwari, Chandanwadi, Marine Drive, Bhandup, Vikhroli and Powai also has maximum leakage points. In C ward (Chandanwadi, Marine Drive), more than 50% of the water samples collected by the BMC were declared unfit for consumption. In P-north ward (Malad and Marve), two cases of E coli bacteria were found. In S ward (Bhandup, Powai, Vikhroli) too, one sample tested positive for E coli and 27% of the samples collected were contaminated. “Leakages occur mostly because agencies while laying utility lines damage the pipelines. This does not come to our attention unless residents complain,” said a senior official from the hydraulic department. In a bid to use modern techniques, the corporation had introduced installation of cameras inside the water pipes to check water leakages and thefts. However, only two cameras have been installed in the entire water network. The officials are now planning to install another one in the most affected pipeline in the city.